● Bowyer started 26th and finished 13th. ● Drove from 26th to 18th in the first 10 laps of the race. ● Pitted from 15th on lap 36 for minor adjustments to help his car’s handling. ● Stage ran caution-free, never giving Bowyer a chance to climb into the top-10. ● Bowyer started 11th and finished 10th. ● Asked for air adjustment to help his car turn in the center of the corners. ● Broke into the top-10 on lap 87. ● Turned in top-five lap times and climbed as high as eighth. ● Pitted on laps 119 and 141 for tires and fuel. ● Race restarted with 16 laps left in the stage, but Bowyer was blocked in traffic and fell back to 13th. ● Bowyer climbed back to 10th before the stage ended. ● Bowyer started 11th and finished eighth. ● Moved to eighth in the opening laps of the stage and seventh 10 laps later. ● Restarted the race in fifth with 68 laps remaining but fell to eighth with 40 to go. ● Pitted with 39 to go but told his crew in the closing laps that he couldn’t turn in the middle of the corners. ● Caution fell with 20 to go, and Bowyer pitted, returning to the track in 13th. ● Bowyer raced his way up to seventh in the final laps before Chase Elliott edged him at the finish line. 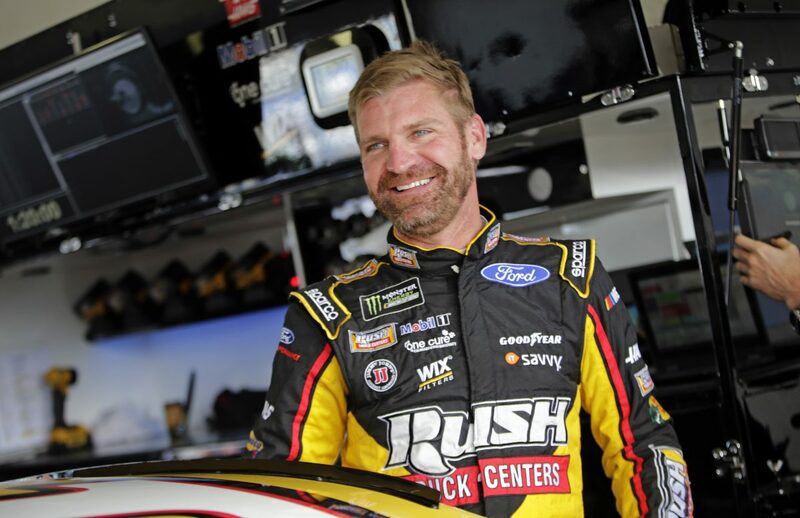 ● This was Bowyer’s 16th top-10 finish of 2018. ● Bowyer earned his seventh top-10 in 13 career Monster Energy NASCAR Cup Series starts at Homestead. ● Joey Logano won the Ford EcoBoost 400 to score his 21st career Monster Energy NASCAR Cup Series victory, his third of the season and his first at Homestead. Logano also won his first career championship. ● Only 18 of the 39 drivers in the Ford EcoBoost 400 finished on the lead lap. The 2019 season kicks off with the traditional Speedweeks at Daytona (Fla.) International Speedway. The 61st Daytona 500, the first points-paying race of the year, is Feb. 17 and will be broadcast live on FOX.